The large majority of the inquiries that I get stem from my red hair. Red is certainly one of the hottest colours - but also one of the hardest to maintain. 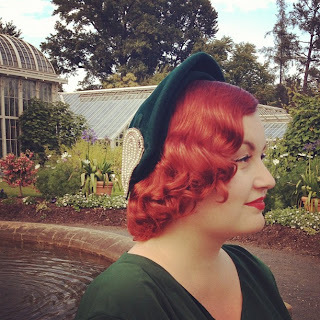 Here are my tips on how to keep your dyed fiery strands looking radiant longer! 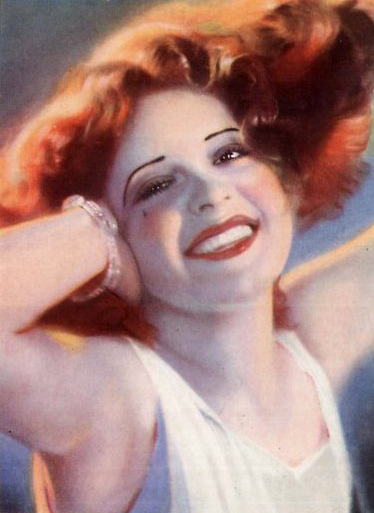 When you first go red, I would warmly recommend having a professional do it. I only dyed my hair professionally for the first few years and used a semi-permanent colour to keep my colour fresh in-between the dyes. After dying your hair, do not wash it for at least two days. Avoid daily washing of hair in general - I tend to wash mine every two or three days. If your hair gets oily quickly, use a dry shampoo instead. Note that it might take a bit of training to go several days without washing if you're used to daily hair cleansing - but it is definitely worth it. Don't use harsh shampoos. You'll probably spend quite a bit of money on your hair colour, which means that you should also invest in a good shampoo specially designed for colour treated hair. Some use shampoo and conditioner for red hair. However, the only one that I've found to actually make a difference is KC Professional Color Mask in Pepper. Regardless, I use it quite rarely these days. Wear hats, scarves or UV protection on your hair in the sun during summer to prevent fading. Dye your hair often. Unfortunately you just can't get around this if you want to constantly maintain a truly vibrant red. I dye my hair every three to four weeks. You can use a semi-permanent colour instead of always using a permanent dye. Wella Color Touch is a good one and has some nice reds. I would like to add that whilst the colour red has an almost infamously bad reputation in fading very fast, in my experience the first six or so months are by far the trickiest. 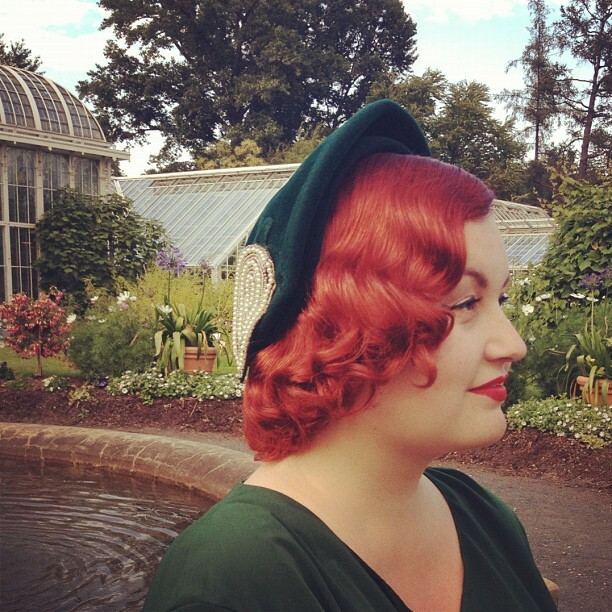 It takes quite a few dyes for the colour to really set properly and for a fresh fake redhead to learn the tools of the trade in maintaining the shade. After that, it really does get easier - and it is most definitely worth it, if you ask me! How do you keep your colour fresh? If you have any additional tips to share, I would love to hear them! Thanks for the tips! I've just gone red 1½ months ago and I have been using KC Professional's Mandarin almost with every wash, otherwise the colour looks very faded. Can't wait till my hair appointment in a week, ugh.. I do love your hair colour, very similar to mine! Happy to be of help! When I first went red, the colour would fade very fast so I would use Color Mask often. But after dying it so long and so many times, the red definitely lasts longer and I just don't need the conditioner as much as before. So fear not - the colour will stay better after some time! All great tips, I also ( because I have naturally oily hair) upped the amount of sets I did as the setting lotion dried out my hair and helped hold the colour better. If it wasnt set I used the setting lotion instead of hairspray to put on my rolls etc....didnt hurt to have a lil extra. Oh yes! This is a great tip that I didn't even realise before. Setting lotion does dry the hair, which means you need less frequent hair cleansing and the colour holds better in the process. Thank you for sharing this one! Ohh, I do love the blonde on you but I do imagine bleaching is very harsh on the hair, if that's what you need to do in order to maintain the colour. Perhaps you could try strawberry blonde or ash blonde? Or another shade that doesn't require bleaching, just to give your hair a rest. Sometimes I miss the red hair, but then I think about how much it fades. These are good tips. I will keep this in mind if I ever decide to go back to red. Most excellent! I hope they're helpful in maintaining the gorgeous colour! As someone who has been a bottle redhead for many years now (on and off since I was 16), I completely agree with all of your points. Another thing that I do - or rather, don't do - is to use many heat tools (blow dryers, curling irons, hot rollers, etc) on my hair. I can't prove this beyond my own personal experience, but I have found that excess use of heating tools can fade red (and vibrant hair colours in general) faster than if they weren't used. Thank you for sharing your tip! I, too, have heard that very frequent use of heat tools can fade colour. However, I used to use hot sticks on a semi-daily basis and I didn't really notice much of a difference so I think it depends on the case. -Invest in salon quality colour if you do it at home. -Since red fades no matter what you do, you might as well go for a milder semi or demi permanent colour, spare your hair the peroxide and let it sit longer when you colour it instead. -Pay attention to the undertone of the colour, as that has a huge impact on how it fades, as fade it will. I use a semi-permanent, one-component colour (Wella Color Fresh 6/34) with a strong gold undertone. Yellow colourants stick to hair better and stays longer than the red does, so on my unbleached, light brown hair it fades to a really nice bronze colour. I like that shade as much as I like the freshly dyed red, which means that I can go a couple of months without touching up. The same line has another red, 7/43, a much truer red without the gold undercurrent, and while the fresh result is similar, it doesn't fade nearly as nicely on me as 6/34. Worth paying attention to, especially if you're lazy like me. I really like your blog, too! Many thanks for sharing your most excellent observations with us! Have a very Fintage Christmas! 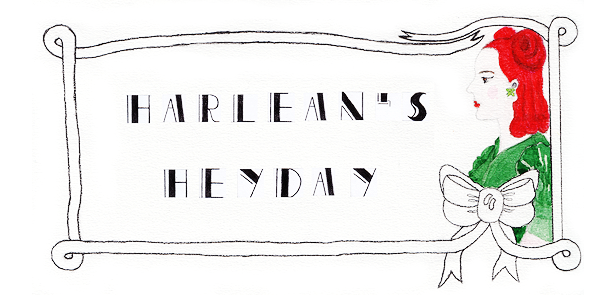 Three years of Harlean's Heyday!